The Christian woman received the sentence because of her religious choice and for being married to a man of a different religion. A COURT IN Sudan has sentenced a heavily pregnant Christian woman to flogging and death by hanging. The Sudanese woman has been convicted of ‘apostasy’ for her religious choice and ‘adultery’ for being married to a man of an allegedly different religion. Meriam Yehya Ibrahim is eight months pregnant and currently in detention with her 20-month-old son. Her death sentence was handed down this morning after she refused to recant her religion. The woman was raised as an Orthodox Christian, her mother’s religion, because her father, a Muslim, was reportedly absent during her childhood. She was arrested and charged with adultery in August last year after a family member reportedly claimed that she was committing adultery because of her marriage to her Christian South Sudanese husband. Amnesty International said the court added the charge of ‘apostasy’ in February 2014 when Meriam asserted that she was a Christian and not a Muslim. Anmesty’s Sudan researcher Manar Idriss said this morning that the sentence for this woman is “appalling and abhorrent”. “Adultery and apostasy are acts which should not be considered crimes at all,” Idris said. “It is flagrant breach of international human rights law”. 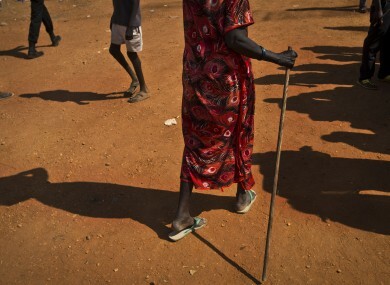 Email “'Appalling and abhorrent': Pregnant woman sentenced to flogging and hanging in Sudan”. Feedback on “'Appalling and abhorrent': Pregnant woman sentenced to flogging and hanging in Sudan”.